Please enter your APN to view Mello-Roos tax information. What if I don't know my APN? Your Assessor's Parcel Number (APN) is included on the annual property tax bill. If you do not know the APN of the property and do not have a copy of the tax bill, use the County Tax Collector website and input the property address. The website will provide you with the APN along with the tax bill. You may visit the County Tax Collector by clicking here. Thank you for you inquiry regarding the Community Facilities Districts ("CFDs") within the Fontana Unified School District. The CFDs have been an invaluable resource for providing school facilities to serve our growing community. Your Special Taxes have been essential in providing the funding to build portions of Kathy Binks Elementary, Beech Avenue Elementary, Summit High School, Citrus Continuation High School, as well as the design and planning of three additional schools. We hope that this website will serve to answer your Special Tax questions, but if you have any additional questions please don't hesitate to contact our Special Tax Administrator, Special District Financing & Administration, at 760-233-2630. The following information is available for the currently selected Community Facilities District (CFD). Please click on the following frequently asked questions for answers regarding your special taxes. How are Mello-Roos Districts established? A Mello-Roos District is established by a two-thirds majority vote of qualified electors or by a landowner vote. This enables a local government agency to levy special taxes and issue bonds for facility construction. 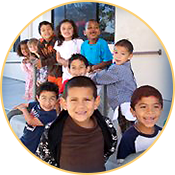 In the Fontana Unified School District, all Mello-Roos CFDs were established by landowner votes. Each landowner gets one vote per acre. Cooperating landowners/developers thus initiate an important funding source for new construction and facilities development. Are Special Taxes based on a percentage of home values? No. Special Taxes are not based on home valuations. The Rate and Method of Apportionment (RMA) is the tax formula that sets the Maximum Special Tax Amounts that are authorized to be levied against the property. The RMA may be downloaded in the Reports section of this website. Typically, but not always, these taxes are based on home size and land use category (e.g. Single Family Detached, Commercial, Apartments, etc). Are all Mello-Roos special tax assessments charged at the same rate? No. Some are levied on a dwelling basis (where all properties are taxed the same amount), others by square footage (where bigger homes typically pay more than smaller homes). If they are subject to the tax, Commercial properties are typically assessed at a lower rate than residences. In some CFDs, owners have the option to prepay their Mello-Roos assessments. Newer projects tend to have higher rates because costs for capital projects have grown tremendously during the period that the Mello-Roos tax has been used. Construction costs have risen dramatically in the past years. How long are the assessments levied? Special Taxes are levied for various lengths of time. The term of the tax is typically determined by the Rate and Method of Apportionment (RMA). Most special taxes for facilities are levied between 25 and 50 years. Special Taxes paying for ongoing maintenance and services (such as fire protection, landscape maintenance, lighting maintenance, etc) may not have an end date. How are these special taxes disclosed? Developers, sales agents, and property owners must, by law, disclose these annual assessment responsibilities. This typically is called a "Notice of Special Tax" and is required to be provided for signature by the property seller to the property buyer at the time of purchase. The following agencies may be able to help you with additional special tax questions.